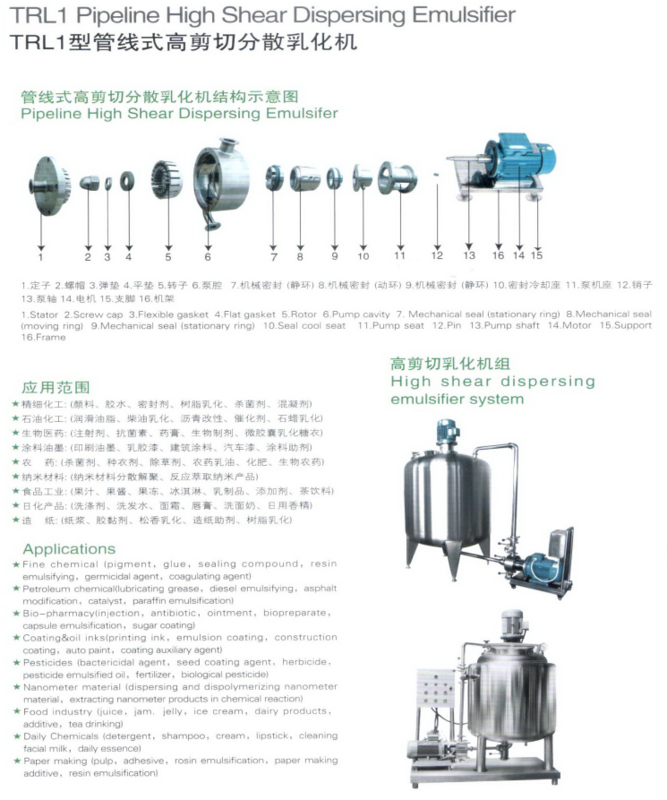 Multi-Frequency fluid mixers are used where two mutually insoluble liquids must be continuously mixed into a stable emulsion, or where solids in suspension must be dispersed as finely as possible in a viscous liquid.. 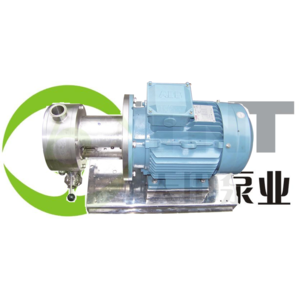 The multi-frequency liquid mixer comprises a series of opposed rotors and stators on a common axis. 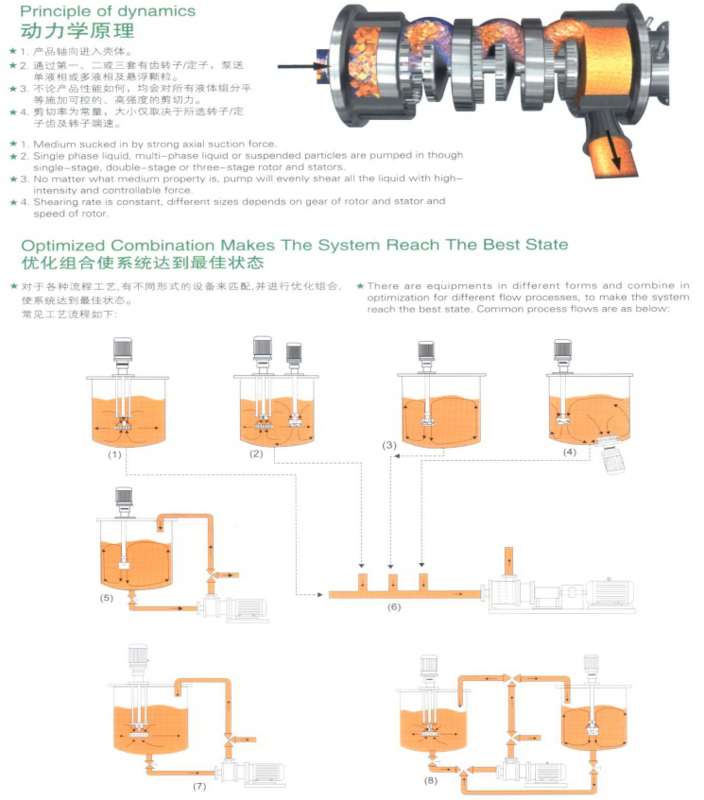 The rotors are fitted with milled teeth for low viscosity applications and with round studs for use with viscous fluids. 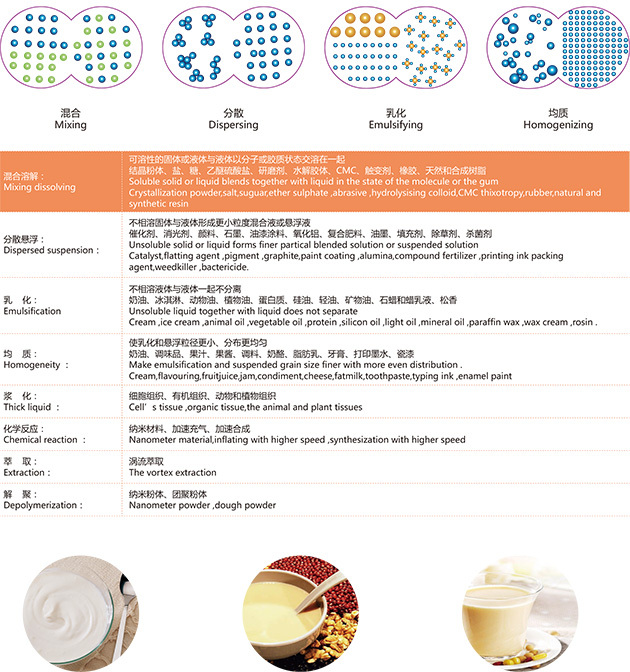 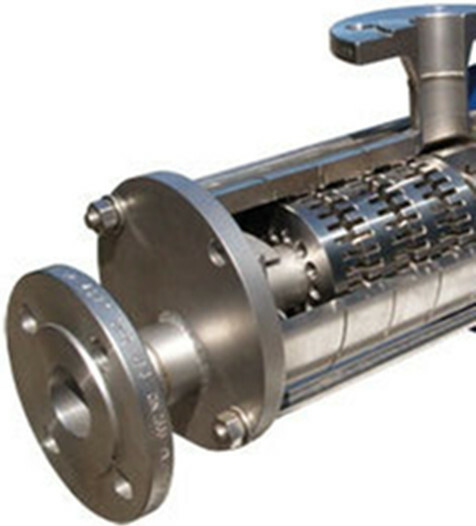 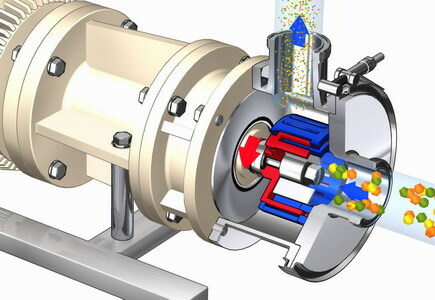 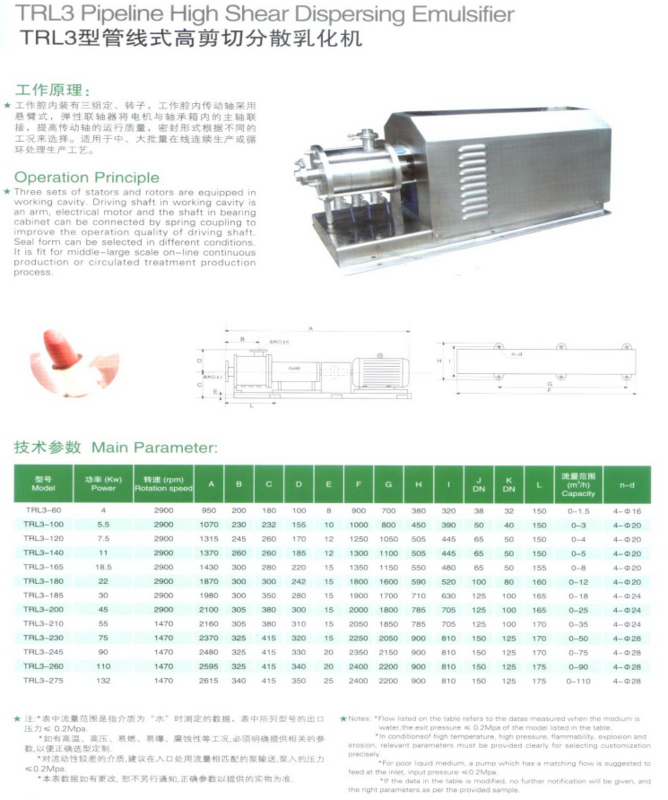 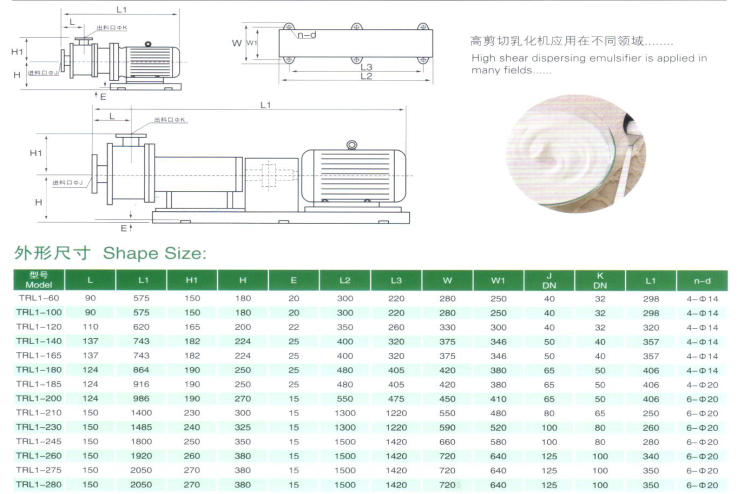 Inside the fluid mixer, constantly changing areas of rapid flow and resistance subject the liquid to high frequency acceleration and deceleration. 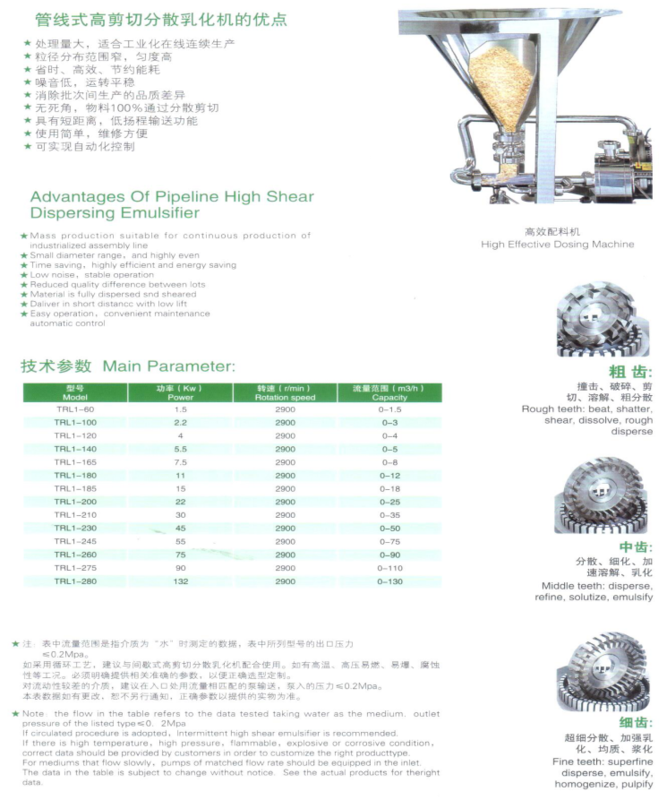 The resulting high energy shear forces result in effective dispersion and emulsification.